Arsenal were 1-0 down in an important game they needed to win. The ball is played long and Sebastien Squillaci is there to marshall Peter Odemwingle but oh no, Manuel Almunia comes to the rescue! The Spaniard gets in the Frenchman's way and Odemwingle put the ball past the pair of them. 2-0 to West Brom. 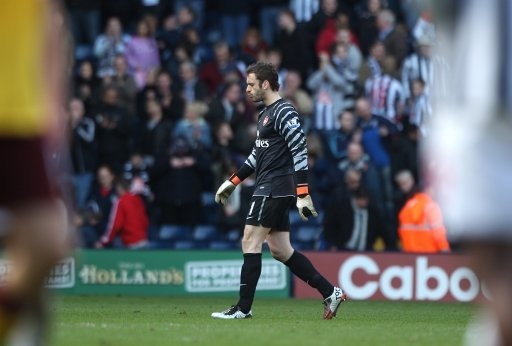 What was Almunia thinking? He's not fit to wear the Arsenal shirt. Bring In Jens Lehmann for the Blackburn game.